In large skillet, brown ground beef and drain off excess oil. Add taco seasoning and taco sauce and stir to blend. Place tortilla chips on large platter. 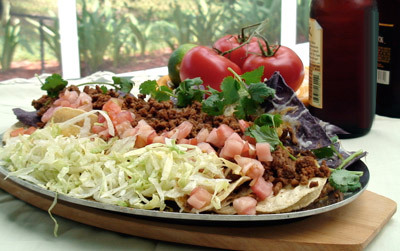 Top with seasoned ground beef, cheese and optional toppings. Serve immediately.